Tigers in India down to a thousand? The news is not a shocking and neither is it new. Tigers disappeared from Sariska Game Reserve as far back as 2005. But now its all being raked up again. The Comptroller and Auditor General (CAG) in a 2006 report has blamed the Rajasthan Government squarely for its “complete failure” in controlling poaching and encroachment on forest land. This report is being discussed in the current Budget session. The facts according to the report? The tiger population fell drastically from 47 in 2004 to 26 in 2005 in Ranthambhore and from 16 to zero in Sariska. However, NO tiger poaching cases were registered in either of these two places between January 2003 and March 2005! And of Rs. 38.38 crores allocated for the project, only Rs. 18.40 crore was spent! This are just a couple of examples. Country statistics show that while there were 40,000 tigers at the beginning of the 20th century, today the exact number could be barely over a thousand! However, the official figures are somewhere around 3000 plus and this implies that there is an improvement after 1972, when the first tiger census showed that the number was just 1827. 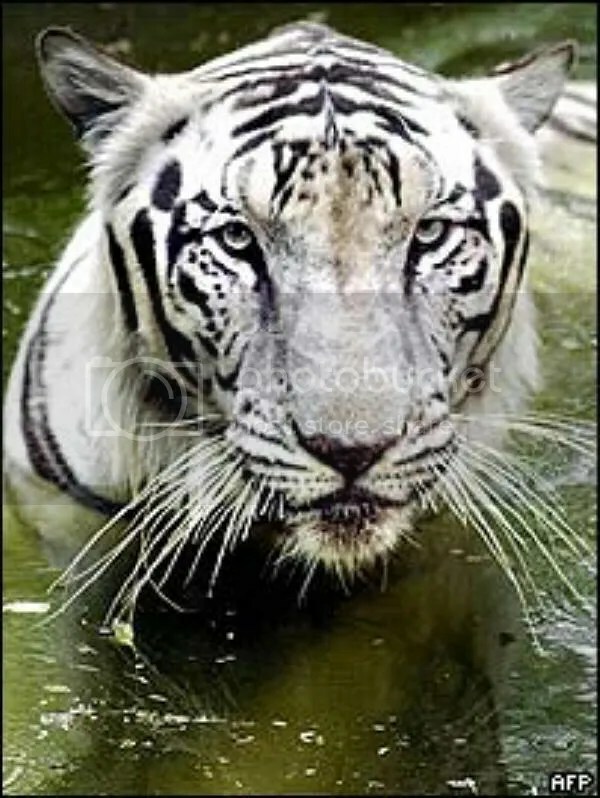 Nine reserves were set up in 1973 – in Assam, Bihar, Orissa, Uttar Pradesh, Madhya Pradesh, Maharashtra, Karnataka, Rajasthan and the Sunderbans – to increase the tiger population. However, the steady decline in the number of tigers has not stopped and now there is a growing realisation that Project Tiger has failed. Conservationists do not believe the official figures. The authorities concede that the disappearance of tigers is due to many factors and amongst the major ones are encroachment of the tiger’s habitat by humans, lack of prey for the tiger in the reserves (there is poaching of deer and small animals as well), mismanagement and corruption. Sariska is just one tiger reserve from a list of 28, where poaching is a severe problem. Numbers have fallen drastically in Ranthambhore, the list of missing felines in Panna is long, and Bandhavgarh has seen a recent spate of tiger deaths. There has been no sign of the tiger in Buxa for the past year, Dampha is a similar story and no one knows the fate of tigers in Nagarjunasagar and Indravati, under the influence of Naxalites. All of the above are Sariskas in the making, unless we act, now. There is one reserve which is showing good results. At the Tadoba Andhari Tiger Reserve (TATR) in Maharashtra, tigers have increased from 27 in 1995 to 41 in 1006. Overall however the situation is dismal. And ironically the tiger is India’s national animal! But I guess with corruption touching every aspect of life, it is impossible that tigers would be spared. Also, poaching/hunting is not carried out just to make money – there are those in India who view hunting as a sport. The most sensational cases involve Salman Khan the film star and Mansoor Ali Khan Pataudi the well known cricketer, both of whom were accused of poaching a black buck, an endangered species. This destroying the habitat of other animals than ourselves through the burgeoning of our own populations and our requirement of comforts for beyond survival is common the world over. We are the only animal that sequesters other species into “parks”, zoos, and other enclaves. These other animals do not “understand” the parameters of protection we have set up for them, and so stray from areas of protection only to be considered usurpers on our rightful territory and therefore to be disposed of. Human beings are the super-predators in the world, so much so that we are also predators on our own kind. And, unfortunately, it seems as if we have the mistaken notion that we are immune to natural laws, and not bound by any limits. Tigers, and other animals are fated to be moth-eaten museum items, or pictures we pass on to each other as we are surrounded by bleakness ofour own design! I am glad to have a limited life on this earth, as that kind of existence would be horrifying for me to even imagine! The “numbers” game wrt to tigers is a joke. There were never 3000 (or more) tigers in India since 1960s. Official figures are always junk. Ranthambhore had about 40 tigers in 2002 and thats when the poachers started striking. In 2004 there were barely 15 tigers left but the Field Director here thought that he should increase the numbers so he came up with a figure of 47 – which was ridiculous. In 2005 – when a so called scientific census was undertaken in Ranthambhore – there were only 13 adult tigers and 5 cubs. But they still came up with a figure of 26. If they have been lying in Ranthambhore, I presume they are lying in the other tiger reserves too – like TAR (Tadoba) which definitely does not have 41 tigers.